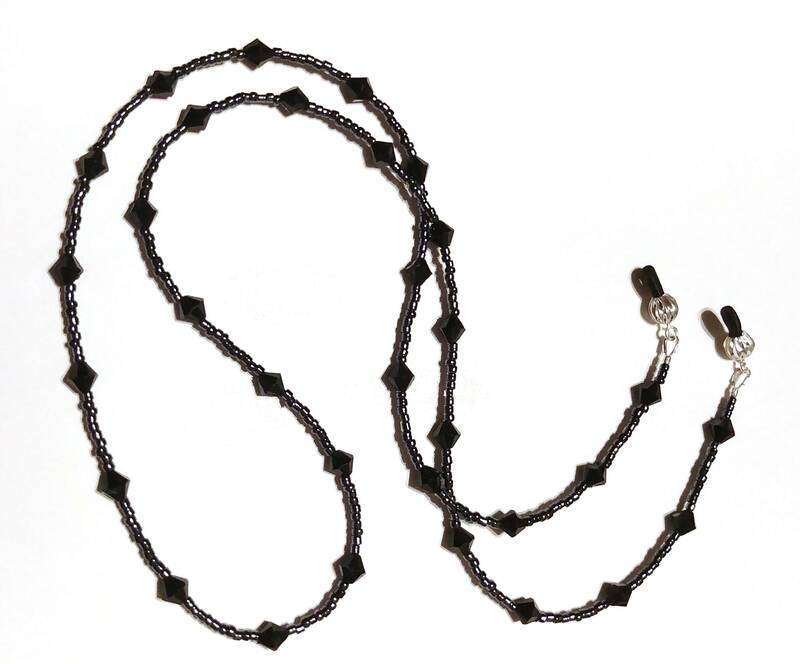 Wear it at home, throw it in your bag...this eyeglass chain holder is great if you are looking for something practical that serves a purpose without costing much at all. It is made using plastic beads so it is very light in weight, you will barely realize it's on! Please note: The tiny beads are a dark blue metallic color (which gives it a little shine) and the bicone shaped beads are black. 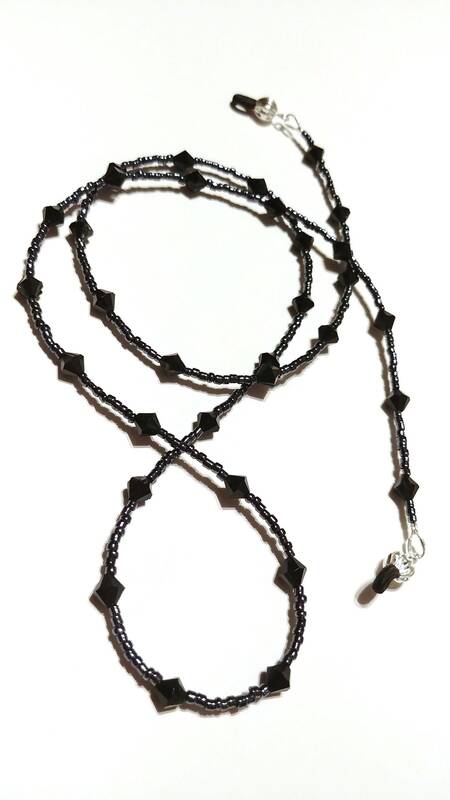 This entire eyeglass chain is approximately 29 inches long. This chain is an original, designed and created by Michele of MichelesAManoDesigns.